The new Global campaign takes Scotland to the world. 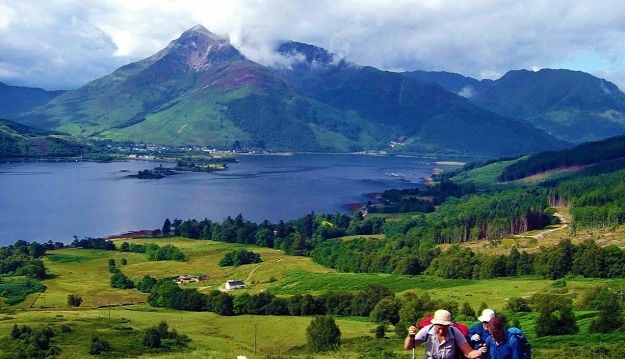 Launched simultaneously in North America, London and China, ‘Scotland is Now’ is designed to put the country firmly at the top of everyone’s list of places to live, work, study, invest and visit. Attracting more migrant talent, international students, expanding overseas businesses and high-spend tourists will grow Scotland’s economy and further cement its reputation as an open, diverse and welcoming country. “We are delighted to be both serving the Northern Isles and supporting the #Scotland is Now campaign.. Orkney and Shetland are widely recognised as being amongst the best places to live and work in Scotland, it positions us in an ideal role to highlight the real dynamism of both Island groups and the cutting edge innovation as amplified by the Scalloway Maritime NAFC facility in Shetland and the International Centre for Island Technology delivering MSc Marine Sustainability programmes in Stromness. “So from award winning agriculture and seafood produce, to internationally acclaimed whisky, gin, ale and cheeses these islands epitomise quality and a welcome second to none. Background – This year, for the first time, the Scottish Government, VisitScotland, Scottish Development International and Universities Scotland are combining all or part of their existing international marketing spend (£6 million) to deliver ‘Scotland is Now’. This year’s VisitScotland Expo had it all! Scotland’s annual premier business to business travel trade event held, this year, in Glasgow was all it promised to be…welcoming, buzzing and relevant. 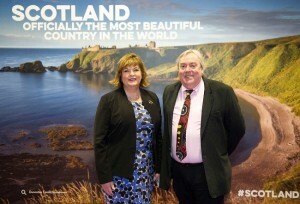 Chief Executive, Visit Scotland, Malcolm Roughead OBE spoke to Karen Wright at the event.. He explained that this year’s theme The Year of Young People has started of phenomenonly well with everyone talking about it. It’s all about experiences, inspiration and motivation offering the opportunity for young people to shine, thinking broader and how you bring together different mindsets. He went on to say that it’s important to create richness and colour around the content of tours, authenticity is important and to have a plan which builds momentum over years. Asked what he would include in our quarterly spotlights he said there’s so much “thematically there’s lots to look at” but start with the Great Houses of the Borders covering 9 magnificent houses within 50 miles of each other, including Abbotsford, each offering it’s own story. The whole borders network offers so much without travelling too far into Scotland. Other great themes are film, music and literature – visit Moat Brae where JM Barrie dreamt up the magical story of Peter Pan. He also suggested taking in the lesser known festivals, community run, where the locals throw open their doors to visitors. Such as the Wigtown Book Festival and Pittenween Arts Festival. Is there a hidden gem that he could suggest to visitors? His answer simply, well, it would not be hidden if I told you that! The important point is that one trip is not enough and the best people to ask are the locals, they are the ambassadors and know best cafes, arts and craft centre and so on. And the future of coach travel in Scotland? “There will always be demand but we need to move with the times, be relevant and take comfort from a longer term plan”. Described as Scotland’s Most Beautiful Distillery, Glengoyne is open all year for guided distillery tours, whisky tastings, private dining and its whisky shop. Best Dressed Space..one of Scotland’s oldest family businesses operating cruises on the beautiful Loch since the 1880s. Best First Time Exhibitor was Inverness Custom Tours. Malcolm Roughead, Chief Executive of VisitScotland, said: “Without doubt, VisitScotland Expo 2018 was one of the best since the event began life as Scotland’s Travel Trade Fair back in 1980. The event had a great vibe and it was a unique opportunity for Scottish tourism businesses to meet face-to-face with hundreds of tour operators from all over the world – all under one roof. “This is a perfect example of how Scotland is a country that is creating new opportunities, supporting new industry, inviting new investment, challenging new thinking and driving technology.